Technically, there should be a lady in the lake to meet you with a glittering sword made of some kind of otherworldly steel. But we got you a polar bear instead. He's brought you some salmon, which is sort of like a sword, only made of fish. 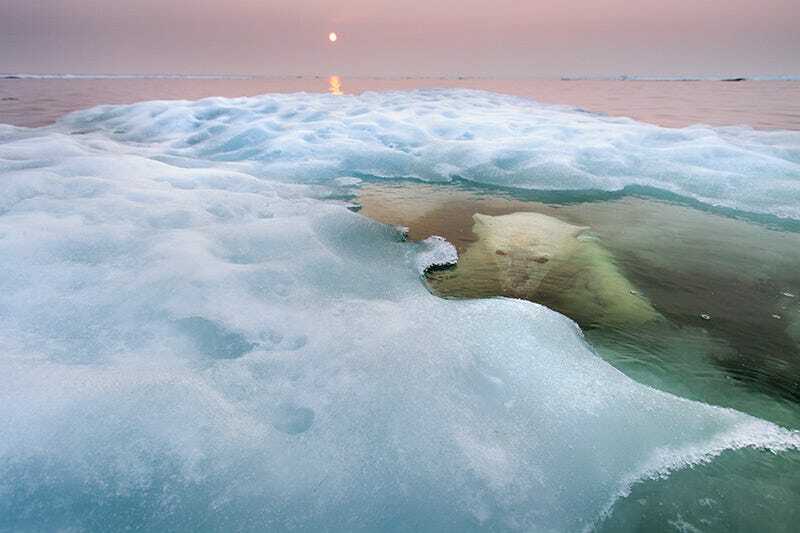 Paul Souders is one of the winners of this year's Wildlife Photographer of the Year contest. You can see more of his stunning work on his website.